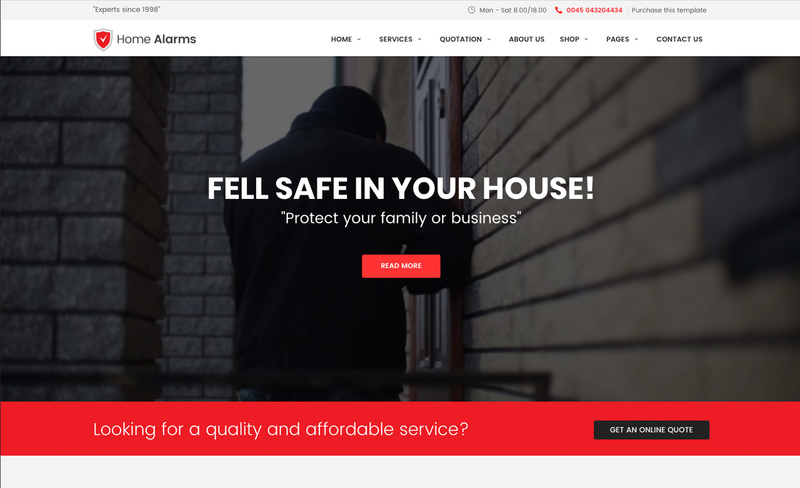 HOMEALARMS is a clean HTML5 site template suitable for companies that provide Security services, Home Alarms Systems and Video Surveillance. It comes with powerful contact forms to hook potential customers and a wizard quotation form; you will get all the elements necessary to create a nice and complete web presence. Shop section included.